slay all day with these 5 holiday essentials! It’s that time of year again, where you find yourself dashing from party to party taking s(elf)ie after s(elf)ie! But, don’t worry; we’ve got your back. We’ve made a list and checked it twice – these 5 things are going to be your new best friend while you tackle the holiday season. They’re also the perfect gift for your best curl friend. P.S. We will be giving ALL of these away on our instagram account this week! Make sure you follow @bloheartsyou for a chance to win! P.S.S. Select items are available at your local Blo! 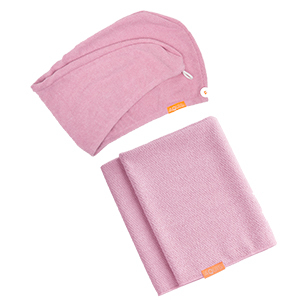 There are only so many ways we can express our love for Aquis towels! Made out of innovative Aquitex, not only does it save time drying your hair (because it is super absorbent) but it also protects it from frizz and helps prevent breakage and damage! What more could a girl want? 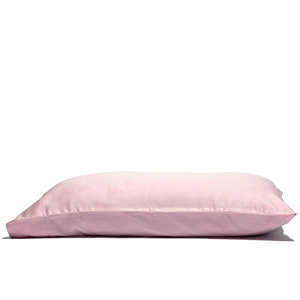 are you a savvy sleeper(s)? Hang nail holding you back? 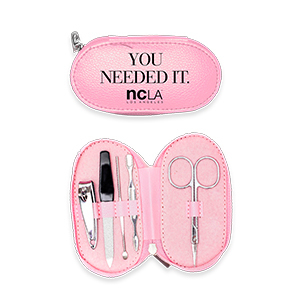 With this NCLA nail kit, you’ll never have to hear yourself say, “I need a mani” again. This five-piece set instantly freshens up your manicure no matter where you are. We’re not just saying this because we have to…. 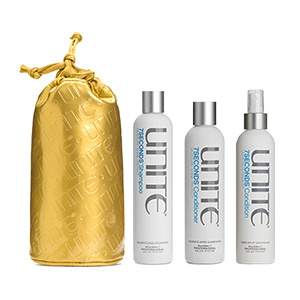 but the best thing to have by your side during a holiday soiree is perfect tresses! Our Blo gift cards are available in any denomination! So gift yourself (and your bestie too) with the best hair ever!